‘Madras Cafe’ is an engaging tale. Commendable mostly because Shoojit Sircar manages to weave an interesting plot and well-executed conflict stories are a rarity in Bollywood. Any political thriller runs the risk of being biased and I am sure there will be an equal share of viewers who will be offended by the alleged pro-state stance taken by the director. To be fair to him, however, the narrative at various times does mention that every one has their version of the truth and it just depends on perspective. Or like our protagonist reiterates, one man’s revolutionary is another man’s terrorist. The director has also made it quite clear that the Indian state was quite ambiguous in its approach and subsequent resolution during the crisis. Prejudices aside, I am just looking at the cinematic merits of the film. The film provides a comprehensive context to the Sri Lankan civil war and a taut narrative ensures that the pace does not slacken. I would assume the biggest challenge for the director was to sustain the tension in a story where we already know the outcome of the assassination attempt. And on that account, Sircar delivers superbly. The action and the gun battle sequences are brilliantly filmed where he uses close-ups, black-and-whites and still photography to great effect. The inconsistencies that standout like a sore thumb – a war correspondent needs little persuasion to divulge her sources and the LTF operatives wear cyanide capsules around their neck, but it doesn’t take too much of an effort for the police to break the ones who have been captured. When they are trying to foil the assassination bid, they catch a chemical engineer who shares an integral trivia about the bombs that have been custom made for the attack. The RAW agents have this crucial information and are working against all odds to try and prevent the attack, shouldn’t they first share this unique character of the bomb with the security officials rather than wait for our hero to get there? 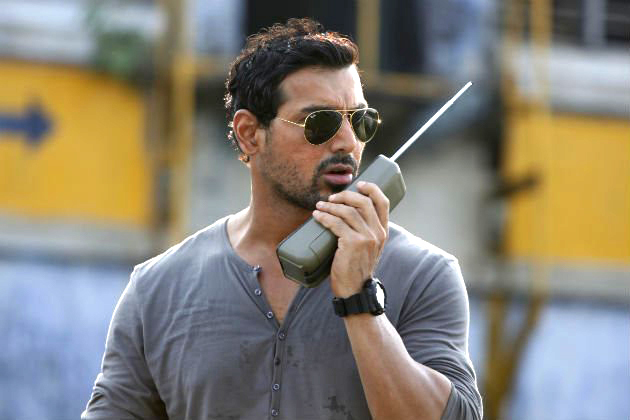 John Abraham may not be good with emotions but he has got the right body language for a covert army operative and is immensely convincing. Nargis Fakhri fortunately doesn’t have much to do but I am tired of journalists being stereotyped as incessantly cigarette-smoking women, as if that’s all they do. Siddharth Basu and Dibang are effective in their debut roles. ‘Madras Cafe’ undoubtedly makes for an engrossing watch, a little more attention to detail and the film would have been brilliant.